Stunning 10-year new Mediterranean home in prime location! Logical and fantastic single story bright and open floor plan! High ceilings in key areas! Exquisite details throughout! Great for entertaining! Chef's kitchen includes large center island, granite countertops, top-of-the-line stainless steel appliances, custom cabinets and sunny breakfast nook. Family/great room ideal for play and entertaining. Elegant dining room and living room. Palatial master suite has high ceiling, large walk-in closet and spa-like bathroom. Additional features include inside laundry room, 2 gas fireplaces, dual-zone A/C & heat, hardwood floors, remodeled bathroom, Andersen double-pane windows with window coverings. Park-like backyard with generous grass area and mature plantations! 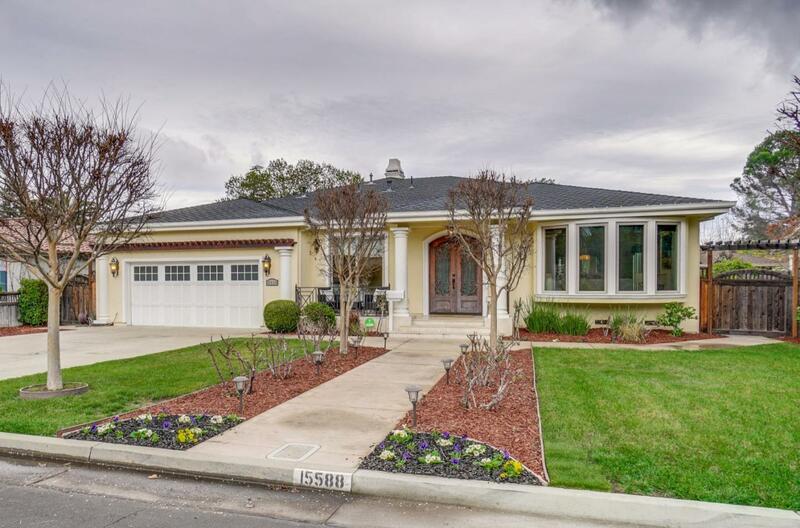 Distinguished Los Gatos schools and an ultra convenient location! Close to shops, restaurants and commutes! This is a MUST see!